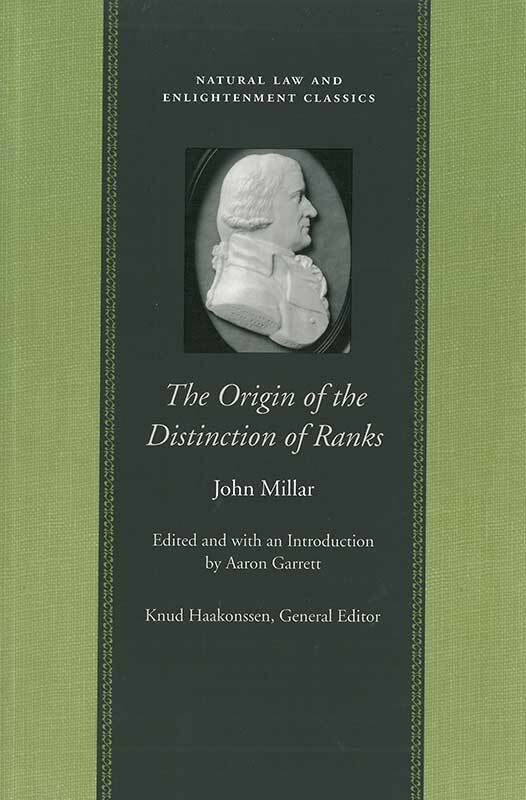 The Origin of the Distinction of Ranks is one of the major products of the Scottish Enlightenment and a masterpiece of jurisprudence and social theory. Drawing on Adam Smith’s four-stages theory of history and the natural law’s traditional division of domestic duties into those toward servants, children, and women, Millar provides a rich historical analysis of the ways in which progressive economic change transforms the nature of authority. John Millar (1735–1801) attended Adam Smith’s lectures at the University of Glasgow and later became a distinguished professor of law there. Aaron Garrett is Associate Professor of Philosophy at Boston University. Please note: This title is available as an ebook for purchase on Amazon and Barnes and Noble. Introduction, note on the text, annotations, appendixes, bibliography, index.